As we all know that the social media is the best way for the marketing of your business. And by using the major social networks like Facebook, Google plus, Twitter and LinkedIn you can either increase your traffic or make a large number of links online. For this, social media management tools are required such as marketing software, dashboard and publishing tools. It is the best way to schedule content on social media. You can make the schedule on buffer to share content on different social networks. Buffer is the good content curator. 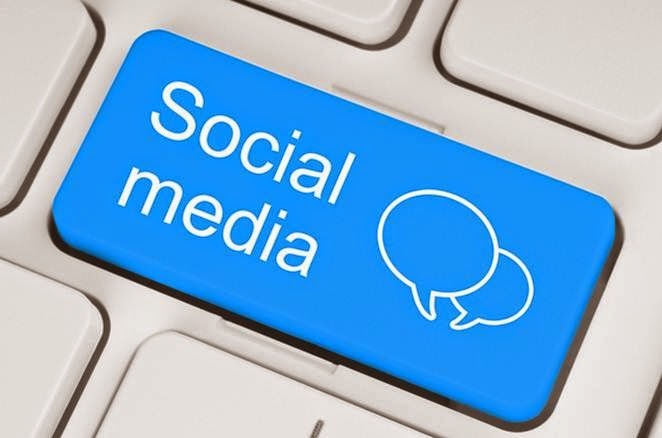 This is the most famous social media management tool for those people and business who execute different campaigns across many social networks like twitter and face book from the dashboard which is one web based. It is the best social managing tool which can measure campaign results and can track conversation through web or any mobile device. Tweetdeck is a good web solution which can manage your twitter feedback. You can schedule your tweets as well as set up notification alert for other new tweets. It is the powerful automation site which can save you many times managing social media. The big advantage of IFTTT is connecting many channels together by sharing different sites like face book, twitter and LinkedIn. It works very best with hootsuite and buffer to increase the working of these tools. Social flow is an interesting business marketing tool through which you can watch conversation and can catch attention of your customers. Social flow gives the information about those services through which you can increase your revenue. It also tells the marketers that where they should spend money for the marketing of business either on promoted tweets and posts or on sponsors. SocialBro helps the business marketers to learn how to engage with your audience on twitter. It helps you to analyze your competitors and tell you the correct time when you have to tweet your followers. It is also the best management tool for social business. It is designed such that you never ever miss a single message from twitter, face book and LinkedIn. It is savvy B2B marketing tool. It gives you the idea about qualify and quantify your leads and how can you make strong relationship with social media actions. Tweepi is an interesting social media management tool of twitter. It allows you to follow new tweeps and flush the unfollowers. 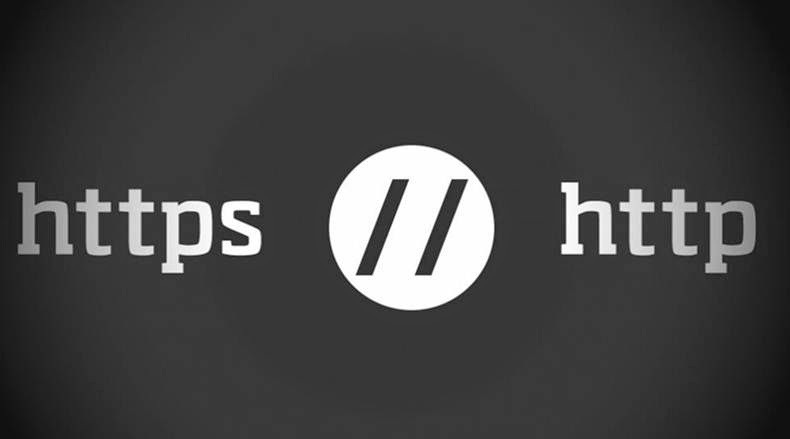 HTTP uses at port 80 for communication. HTTP encrypts data as a plain text. Data is openly transferred not encrypted. It operates on application layer. HTTPS is used port 443 for communication. Certificates are required for security reasons. It is secured then http. HTTPS operates on the transport layer. When you want to link on web forum, always try to link them with full server URL that includes https:// designation. This will always ensure to be secured. When you run your website on https:// it should slow down the connection. For this some SSL provider may charge you to be secured. You should need to be securing those pages where the data is collected. Everyone have a big list of their childhood friends. And all of them also have a great time together. They must be your school and college friends, your colleagues and many others. All of you meet with your friends daily and you all have so much fun together. But now days when the life is very busy and no one have any time to meet with each other, you can remain in touch with your friends if you are using social networks. Many people use social networks to keep in touch and they also make new contacts and friends of same interest and ideas. These social networking sites become very famous and popular among the people not only to keep in touch with their friends but also for the dealing of their business communities online. You can get all important information from these social networks. This type allows the users to share detail contacts and profiles to all other users with whom you want to share. At this type of network users share all the information of their interest with other users. For example face book. This type of network is used to update short status for the communication to others. For example twitter update quick information online. These networks are used to share the contents like videos, articles, pictures and music. Through these networks users can interact with each other through comments. Famous content sharing networks are YouTube and Flicker. Through these networks users share same interests that they have like hobbies, politics, religious news and all other such interests. Example of these networks is LinkedIn and Gay.com etc. This network is used to locate any ones real time location. These networks are designed to update location information to other social network. Some examples of location network are Brightkite, Foursquare etc. Hacking is very common in these days. It can be happen with you also. There are some safety measurements which can you adopt to remain safe online. Always turn OFF your Bluetooth and Wi-Fi. Hackers are very well known from this they can easily slip into your phone if you turn ON your phone’s Wi-Fi and Bluetooth all the time. When its turn ON, hackers easily connected your phone with Wi-Fi and Bluetooth devices that they have around them. Due to this they know about the networks that you are using before this. In this way, they start spy on you and you don’t even notice about this. So only turn ON your Bluetooth and Wi-Fi when you needed. Use a strong security password on your device. It is a best way to remain safe from hackers. When you use social media they ask you about a code which is a six digit number. This password is every time asked you when you want to login from any device. So this will be keep away hackers from your device. Use of a single password is not safe these days because hackers can be know about this easily. Use password manager for this purpose. Password manager make different passwords for different social sites and you don’t need to remember that. Every time you want to login in any social website like Google, twitter, Face book and LinkedIn password manager will remember all of your passwords. But you have to change your passwords once after every six months because a master of password manager can find these passwords. Don’t hide your home Wi-Fi because when you hide it your computer or home network is forced to be scan by those with whom you want to be hide. In this way your computer and phone start scanning from the strangers. You should install HTTPS on your all websites because with the use of this tool all the information is not transmitted in the form of plain text but it encrypt information in the form of code. These are the some methods from which you can save your computer and other devices from hacking. People used social media for marketing of their business and products. For this they established their own business website. When you start your business online then you must be start advertising of your business and products. Social media and internet have vast space of information; the only thing is that users must know your website so that they can engage with you and your business. The most important thing for this is content marketing plan. Instead of asking your customers that they must buy your product, tell them about all the information of your products and services which you give to your customers. This will definitely attract the attention of your customer. This method of content marketing will increase the sale of your products and your business will get fame among a large number of users. Make sure in writing the content that articles you are publishing must be varying in type and topics, because the same articles can bore the customers. If you publish different articles of customer’s interest it must be increase your demographic and following. First of all set your aim, what you want from your content. Do you want a great traffic on your business site? What type of? How much? When you set your aim then it will be easy for you to create content to achieve your objective. Make your mind and select what type of customers you want? When you reach it, you can style content and topics for your customers. It is called demographic. 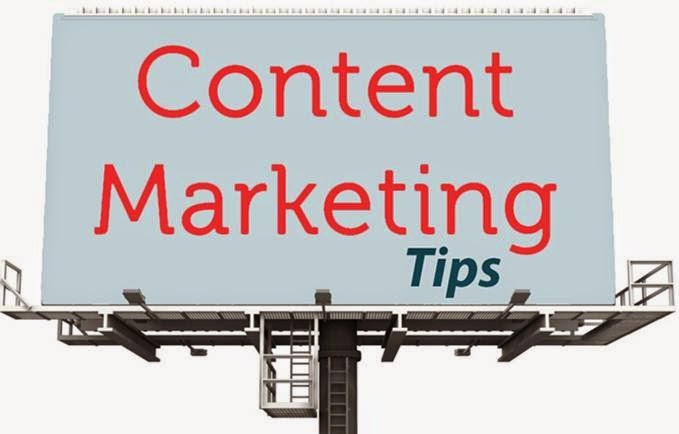 To know about the famous and popular articles that the people often used to read, you must visit other business websites to get the idea about the content marketing plan. Then try to write about those topics in which the customers take interest. Use SEO (search engine optimization) to increase your ranking and to see your content online. To get the direct search of your website make sure that your articles are interesting and well written. Social media is the great source of getting information and people find all the contents by using social networks. If you want to be a part of business circle you have to spread your content on all the platforms of social media. When you published your content then make sure that your content marketing plan achieves its goal. You can b know it by finding content sharing on social media, by purchasing your products and by the traffic on your site. By knowing this you can improve your content marketing plan. As you know there are many social media platform but the most important is Instagram because it focuses more on a visual content. Visual content is the best way to transfer all the information to anybody’s brain easily. It has a great impact on person’s brain then written content. Through this platform you can easily transfer your thoughts and information with the help of videos, photography and filters. Most of the big brands are active on Instagram for marketing and there is a great response of these brands. It is a good way of marketing of the products than any other social media marketing campaign. You must use this platform for the marketing of your company or business. To start the marketing on Instagram create a profile on it so that you can be visible to the people. Then upload all the videos and photographs of your company and products on this profile. If you want the attention of the people you must include your website URL it will allow you to insert other links. Here the use of hashtags is same as in the twitter. To categorize your content use relevant hashtags so that your customers easily find all of your posts of marketing. If you want to drags your customer’s attention you must show your fun side. Click the photos of your company, brands and products, small events of your company, staff and the place where you work and share it. 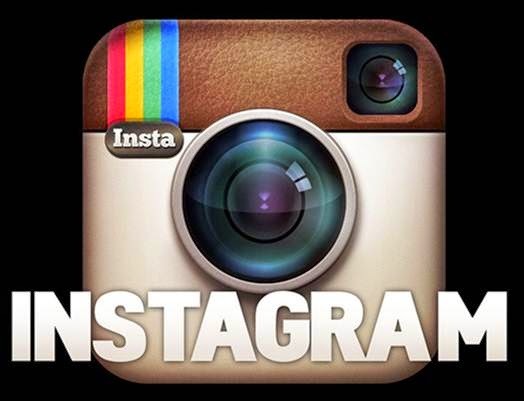 You must share videos of your products and company on Instagram page. You also made videos for Instagram which entertain your users and made them able to know everything about your company and products. Videos always help the people to understand things more easily so don’t forget uploading new videos about your products on Instagram for marketing. Social media always try to increase your following and also engage your content by following others. Always use hashtags to focus on your users and engage yourself on their posts by liking them and by giving comments. To run a business successfully, marketing of your business is very essential. There are many ways to market a business according to the marketing budget if the budget is low then marketing needs more creativity due to the limited budget. In today’s life people have a great interest in social media like Google plus, twitter, face book and in many other social networking sites. With the help of these networking sites you can easily upload all the new details of your industry’s products about new services of your industry. You can also link your industry’s blog with other links online. Marketing through email is very easy and low budget. You should have to send emails to your customers and provide all the information about the products of your industry and also offer them special discounts. This method of marketing will help you to promote your business in an easy way. Everyone wants the things which they get free from any company and industry. So it is an effective way of marketing. In this type of marketing a special offer is given to the customers that buy any product of your company and get t-shirts, mugs, caps and many other such products free. It seems to be expensive but it gives more benefit in marketing of your business. 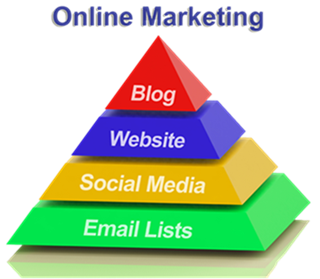 Blog marketing is an important way of marketing. For this you must have your company’s blog made by such a builder who can write content without any mistakes. In this type of marketing the things are sell directly to the people through telephone service, by mail orders and by online marketing. It is a type of marketing in which social interaction is done with the customers about the products. In this type of marketing those customers play very important role by giving the comments who are satisfied from your company’s product and from your services. For the public relation marketing your company should attend many small events and function held in your area. This will increase the number of your customers. In this type of marketing you can increase your customers by giving ads of your company on search engines like Google, Bing and yahoo. It is an expensive way of marketing and requires a high advertising budget. SMS marketing is also high budget marketing. In this method a company purchases its own SMS software and markets their business through SMS. In this type of marketing you need to be visible or should optimize your web content on search engines. Social Media is very famous in these days not only in youngsters but among the people of every age. All of these people must be aware from such crimes which are done by the individuals using computer and internet. These are known as the cyber criminals. 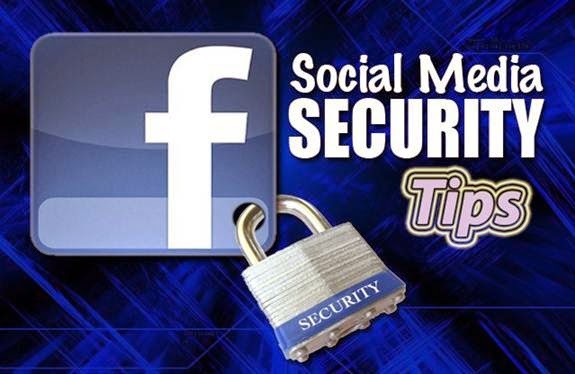 When you are using social websites and communicate with your friends, colleagues or family members you share so much information to all of them cyber criminals take this information from your account and use this information to harm you. The following are some ways to protect your account from cyber criminals. Through this link cyber criminal send a page through internet similar to the face book and twitter at your computer. From this page they asked you about your account data. Through this cyber criminals login to your account and take all the information about you. The simple way to stay safe from such pages is not to respond or answer such messages or people on social media that you don’t know about them. Key logging is the type of software which records all strokes like password and username on your key board and sends it to the cyber criminal. 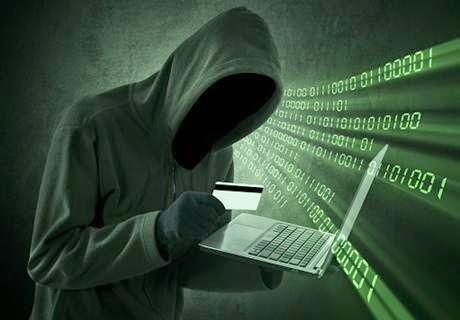 Cyber criminal use this password and username to login your account and take all the information. To remain safe from this your internet security must be able to detect key logging software and should be finished before it gives any harm to you. When your internet detect the key logging software cyber criminal insert a java code on a legal website and use it as a key logger and save your user name and password while you are using social media websites. Internet security systems now introduce a virtual keyboard to stay safe in such kinds of situation. In the virtual keyboard you don’t need to type physically your username or password you have to just click the image on your computer to verify your password and to login your account. The virtual keyboard safe and secure your password on social websites. If you want to stay safe from cyber criminals you need to make your password very strong which you used in social websites. Some people used such password which is very easy to guess by the cyber criminals. if you want to make a strong password for each site you must have to use password manager which is store in every security system of the computer. This password manager makes a strong password for each site and stores it in your computer which you have no need to keep in your mind. 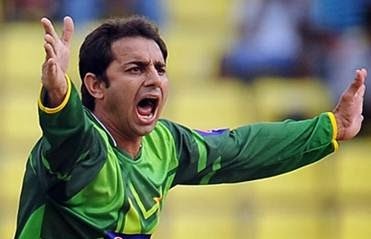 When you want to login then password manager enter a right password for right social website. We all know that social media is the way of communication and to make a fun with your closed ones in free time. So apply all the precautions and security measurements to protect yourself from cyber criminals and enjoy your life with social media. In the list of all free website building websites moonfruit is the most important website builder as well as the great website designer. In this site the designing system is used for to build website is drag and drop system. There is no coding used for this. Templates, backgrounds and images are also available on this website. UCoz is another best free website making tool because it uses all the latest codes of the languages like css3 and html5. It is also providing a security system, templates, blogs and unlimited band width. For those who want a free website and hosting free website creator tool is a great source. In free website coding in used including the languages like html5, jquery and css3. The person who knows about coding this website builder is very beneficial for them. The other most important thing about this website is that no ads can b posted in your website. To making the small websites this site is one of the best platforms. For making site icons are used. Who want to make blog squarespace is the best way to create quick blog. 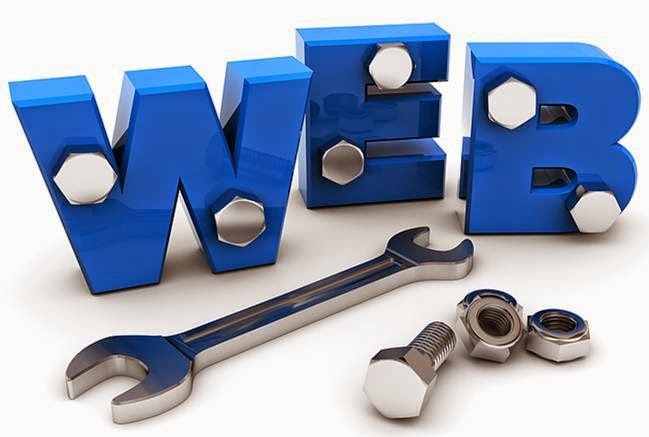 These are the best sites that build the free websites other sites that are used to creating free websites are yola, weebly, edicy, imcreator and wix. Social Media websites are very important for the promotion of your business or products. One of these Social Media website is twitter. Twitter is used by the users to share information with your customers. Twitter is allowed to interact with other online communities for marketing of your business. For the registration of the Twitter user, first of all create a profile. Give a short summary of your business with images and add a link to your website. This profile shows all those users who follow your link. Twitter messages are called tweets. When you send tweets online all those users receive messages that follow your link. All the tweets are shown on your business profile and your users get information of their interest. Your followers can also send a tweet to you as the result of your tweet. You can promote your business by this Social Media website (Twitter). For this purpose you have to send tweets to your followers and also give them feedback when they also tweet you. 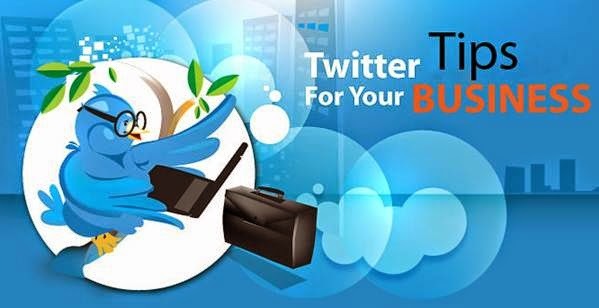 You should also promote your Twitter profile to make a large online business community. Now a day’s all the Social Media websites including Twitter are used for social as well as marketing purpose. Before using Twitter first make a plan like other business strategies are planned. Always keep in mind that why you use Twitter and what is the purpose behind this? Have all the information and special service offers regarding to your interest. 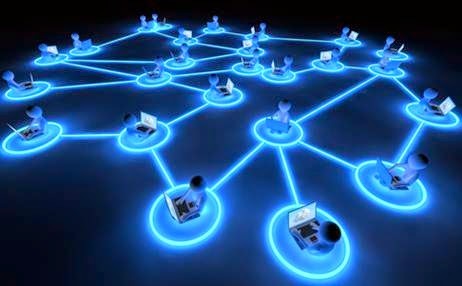 Make a large online community adding by business link. Twitter makes a good relationship with your followers. Twitter helps you to interact with your followers and also update all the necessary information about your new products to attract your follower’s attention. By interacting with other business communities you can give a special offer services regarding to your products to your followers it give a great benefit to you for the marketing of your business or products. Give feedback to your followers. Also give explanation to your users about your special offers. For the successful marketing of your business or products you have to fix your attention on your followers. Always try to know what they want from you and your products. Always tried to satisfy them with your feedback and upload all necessary information on Twitter when required. If you are failed to satisfy your users then your purpose of using Social Media website (Twitter) is finished. Social media plays very important role in interacting with online communities. It helps to create online content. There are many social media websites like Google plus, LinkedIn etc but the most famous social website used for this purpose is Facebook. Facebook is used in following ways. To share the videos, Images and information to anyone. For sending the messages in online conversation. Due to the Facebook anyone can be in contact with their friends and family members no worries they are in any part of this world. Facebook is not only used to remain in touch with their closed ones but also used for the promotion or marketing of your business. The number of Facebook users increasing day by day gradually. One user makes a huge community on its Facebook page which helps him in promoting his business on a large scale. To make the profile user should give his email on Facebook page. But to make business page user can used the name of his products. Now user needs to communicate all over the world for this make a online community of those who have some business knowledge or same interests. To promote your business on Facebook first of all do the following things. Post some pictures of your products on this page. Make some small videos which give information to your friends about your business. 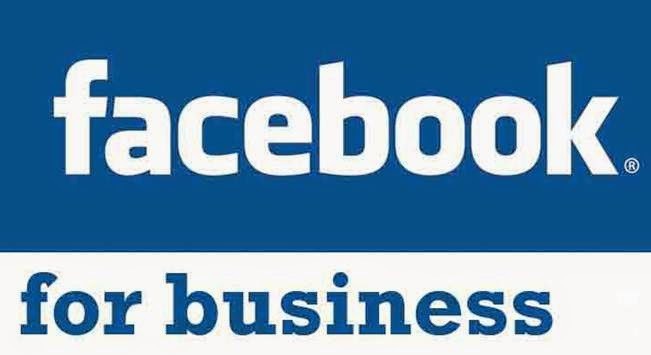 Take some suggestions from such users who already used Facebook for marketing of your business. There are many advantages for the Facebook users to promote business. Facebook is very cheap marketing website. It gives a huge community for marketing. Information can be interchanged with the users. Images and videos can be posted for promoting business. Suggestions can be taken from the other marketing users. To make successful marketing of your business on social media website (Facebook) user should renew the new information about his business. Post new images or videos and share it with other users. Encourage the suggestions and comments given by the links and communicate with your customers to know about their views and try to satisfy them. If you are failed to update new information, images and videos on Facebook. And also avoid the comments and suggestions of your customers then it can be a big fall for your business. The internet and social media have many advantages for the people of this era. With the help of internet and social media you can get much information about any topic regarding to your studies, communicate with others, promoting your business, marketing and online shopping can also be done with social media and internet. You can also communicate with others all over the world and make your friend community that can help you to understand the people, language and customs of other countries. Social media and internet is very famous among the young people. Because they can use these social websites and internet to get information about the topic which he never knows before this. They can communicate all over the world to know about the languages and to extend your business. Social networking built will power, self confidence and skills to debate with the friend community of internet in any topic of the world. 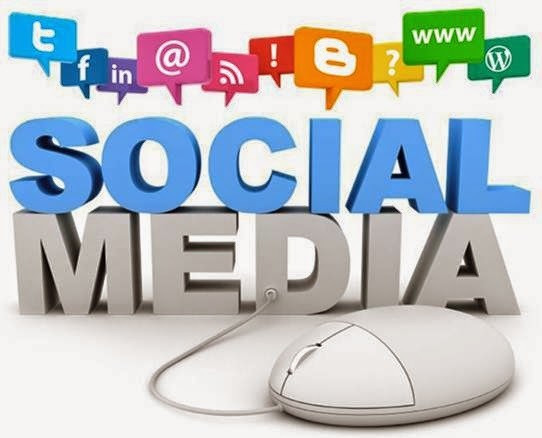 Due to these social networking sites users can get the chance of discussion, take part in the social activities done in any website can give comments openly and can bring changes in contents. Social media help the users to know about the new advanced technologies and make them able to overcome them. The advanced and new technologies give all the opportunities and facilities to the users to conquer new horizons of the world. These new technologies make the work easiest for the people. People can also learn more things and can explore their thinking and ideas by sharing it with others. They can also collect information and all the things of their interest on a big level. Due to these social networking users develop more interest about the things and also communicate with people who have the same interests. People who use social networking sites are becomes more confident and build skills and will power that can help them to survive in the world by themselves that can be dangerous n some situations. Social media and internet plays very important role in the lives of all the people of the world. With increasing more and advanced technologies and social websites people can definitely reached at the top of this world. Social media is a very easy and approachable source to promote your product. Due to these social websites someone can easily know all information’s about any product which you want to promote. Some famous and used social websites are Facebook, Twitter, YouTube, Google plus and Pinterest. Make a YouTube channel for the marketing of your product and ask the users to send more and more pictures and videos that help in the promotion of product. Make a small video by yourself that help the others about using of the products. Ask the users to make small videos of your product and upload on your channel it also motivates the other uses to buy that product. Create a profile on LinkedIn and post every week new information and reviews about your product. Make a group of your product users and ask them to give the comments about your product on this social website. Make a presentation about the marketing of the product or about your service on PowerPoint and upload on this LinkedIn profile. Consult with the other online marketers who can recommend you some useful tips about promoting your product on social media. Set an advertisement about your product and give some special offers that attract the people towards your advertisement. Ask the customers to to give feedback about your product who are used that product and liked it very much. Create a personal page on Google plus and ask the users to join this social page who like your services or product and give the feedback. Post interesting facts and comments on Google plus which are send by the product users to promote your product. Join the Google community to promote your product it makes the link with your users on social websites. Create a pinterest profile for the marketing of your product. This social website also helps to make a large link with users to promote your product. Ask the users to pinning the images of your product on pinterest. Always give the good comments to encourage your users. With the help of a twitter give the information to people about how to use your product. Tweet the facts and pictures of your product which are send by the users. Tweet the interesting fact about your product that give a link of your product. Add more and more pictures and videos of your product to attract the people’s attention. 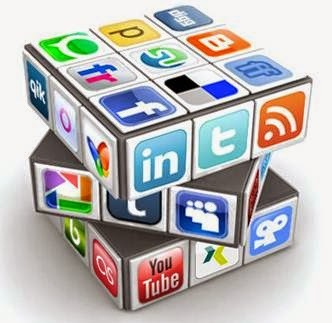 All these social websites always help you to promote your product or business. So the social media is one of the great sources to expand your business all over the world. Flood is a Natural phenomena which means an excess of water unable to store and control the world face many disaster because of this water. No area of this very land which is saved from floods. Now a day’s Pakistan is under this furious water storm specially ruler areas of Punjab side. Before politics were creating hurdles in its economy and now left area is covered with flood. Bad luck days are started in our country already we are among the poor’s and now this over flow of water making us more tensed and poorest. Still we haven’t fully recovered from 2010 flood disastrous. Now again the nature is furious upon us and we have the evil side of water. Pakistan is agricultural land because of huge water all crops end up in water. 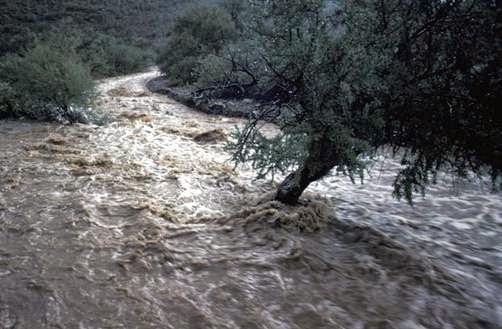 Not all floods are alike some are slowly and gradually and some very aggressive that at once peaceful water change into dangerous disaster and ate acres of lands, crops, animals, homes and many more . It creates drastic problem to people making them Homeless, Jobless, and even Lifeless. Electricity set off in the whole area, Sewerage and roads also damage. Set back the Economy and outlook of one country. Environment too is destroyed and end into nothingness. Social and physical health also badly effected as high risk of Cholera and other deadly diseases take place in the flood affected area. Education also disturbed in fact each and every corner is effect due to this over following of water. It also has various “causes” like Heavy rain, a water storm or a high tide called Tsunami. Melting of Ice on the mountains can also be one of the major causes, spring flooding and strong winds too causes floods. 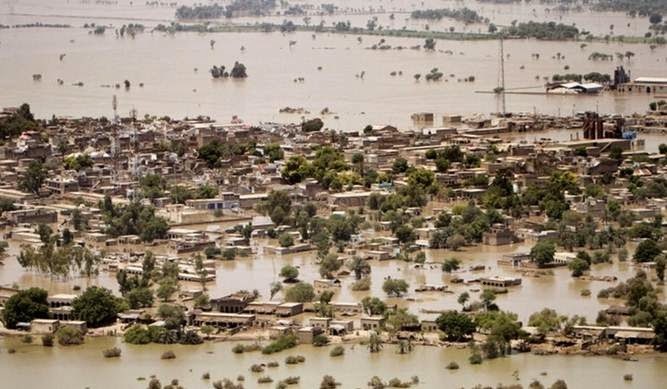 The National Disaster Management Authority (NDMA) estimated that 1.1 million people get flood severe hit. As it is been noted more than 600,000 cusecs on this Thursday reach in Sindh . Which relive our past memories back in 1976 when dangerous flood catch Pakistan tertiary. Army should be high alert. Safety camps should be made. Rescue 1122 should be always there at suspicious places. First Aid for relief should be easy and approachable. Make fully strong decision for safety of public. These are some primarily cautions to save human life. 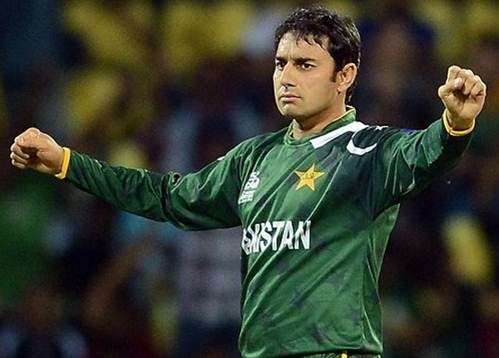 He has Islamic religious offer prayers 5 times a day mind and promote religious and secular both side by side if there are worship places so there is Bars too. 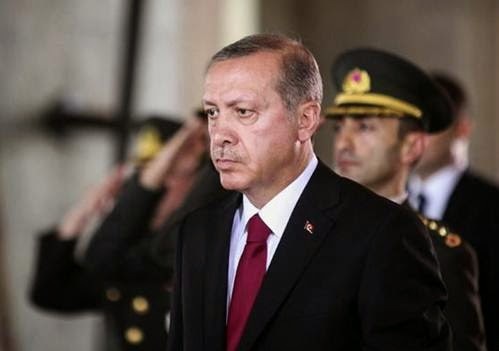 He is a simple and honest man who loves justice and truth .his living style is like every other man of turkey. He used to go at the simple restaurant sit with the public with any security. He freely moves in his state without any fear and loss. He brought change from the very basic like sewage, better roads, and hotles to a drastic change by enhancing huge buildings to Industries. He was public politician who brought national development by winning the hearts of lay man. He was not tyrant but a loyal to his duties and responsibilities. Everyone should keep Balance between his duties, responsibilities and obliged them.